Many of our families struggle with prolonged unemployment/underemployment and depleted financial savings, but they do not know how to access public services or face cultural and language barriers. The Family Support Services Program helps low-income families to meet basic needs such as food and shelter in order to get on the path to financial stability. 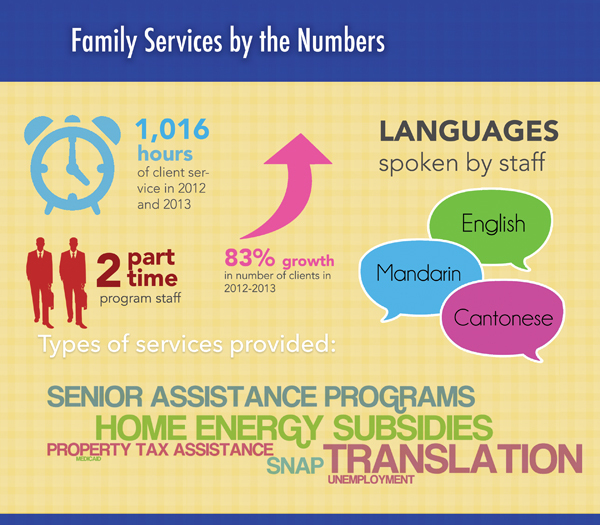 Our staff provides bilingual, culturally-sensitive services. Every year, our list of clients expands, a testament to both the increasing need and the growing reputation of our program.